For January and February, Bob Farla has a selection of images in the Full Spectrum Gallery (located in the back of Foto Art). Bob’s been a member of the Camera Club for over 5 years and has brought a unique and often unconventional viewpoint to the Club’s monthly themes. An excellent eye for shape, texture, and form, he’s able to pull strong graphic images out of otherwise complex scenes as shown in this collection. Our local trails are filled with examples of trees interacting with their environments from which Bob has carefully isolated thought-provoking images and rendered them in strong black and white tones. Each photograph is titled to reflect the artist’s insight and it’s worth taking the time to consider how your own interpretations may line up with Bob’s intent. It’s a beautiful and contemplative glimpse into how Bob sees our wilderness. Be sure to pay a visit! Hello everyone. 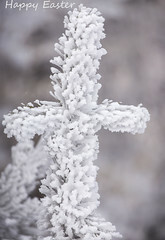 The December issue of the F-Stop is now online. You can read it HERE. If you’ve been in the Camera Club for long, you’ll know at least two things about Greg McMillan – he uses an iPhone for his photographic endeavors and he is enthusiastic about sharing his ample iPhone photography know-how. He’s been a guest several times on the weekly podcast “Tiny Shutter“, an online community devoted to iPhone photography, but has recently been upgraded to a show regular with Co-host status! A big congratulations go out to Greg, his commitment to sharing information and enthusiasm are earning him a slice of fame doing what he loves! You can catch the podcasts live on Mixlr Thursday nights, download past episodes at the Tiny Shutter website, participate in their Facebook Group, or on Instagram. Find out more about Greg by coming to our monthly meetings or checking out his website Red Door Photos. Be sure to scroll through Greg’s Instagram feed to see some of the photos he was taking while being threatened by large emerald waves at the Grotto! 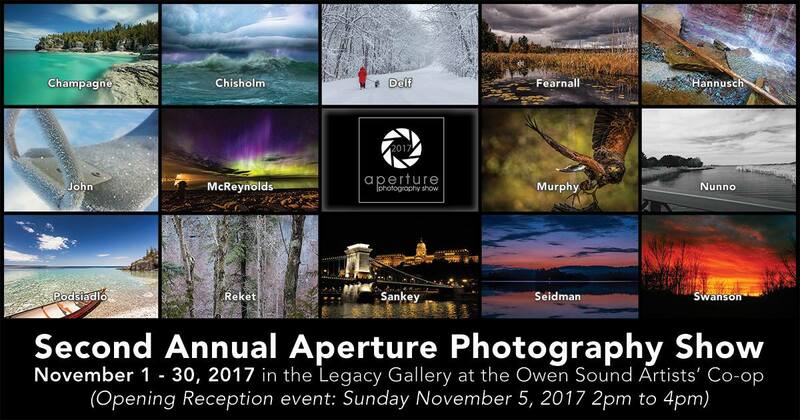 The Second Annual Aperture Photography Show has opened at in the Legacy Gallery at Owen Sound Artists’ Co-op (942 2nd Avenue East, Owen Sound, ON). Running from November 1st to the 30th, there is an opening reception on Sunday November 5th from 2pm to 4pm where you have a chance to meet the artists. A juried exhibition featuring the work of ten local photographers and four students, it features three of our regular Camera Club attendees – Lynn Reket, Cindie Fearnall, and Julian Delf. We’ve seen their work many times through the projector at club meetings, but the proof is in the print, and the proof is excellent! Voting for the People’s Choice Award is open leading up to the reception, so be sure to drop in early! The Owen Sound Camera Club is proud to announce that we will be having another exhibition at the Tom Thomson Memorial Art Gallery this year. We will keep you posted with more details as the show approaches. Our next meeting will be at the Owen Sound and North Grey Union Public Library on March 7, 2017, located at 824 1st Ave West. Please note that the start time will be at 6:30 instead of 7 so be sure to come earlier. We had planned to have Willy Waterton at the February meeting but due to the threat of freezing rain, we asked Willy if he could make it for March instead, and he graciously agreed. We will have our usual slideshow of the monthly assignment, which is Frozen for this month, and some other usual things to take care of, but then Willy will speak to the audience about photography. 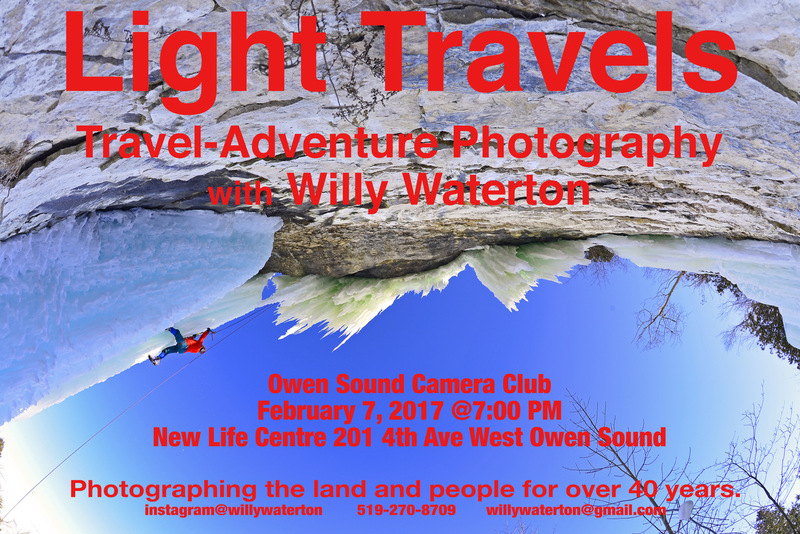 Willy is a local photojournalist from Kemble and was a staff photographer for the Owen Sound Sun Times for many years. He’s been as far as Antarctica in his travels and his years of experience has produced fantastic imagery. 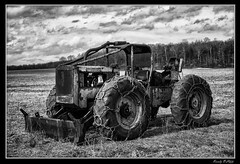 You can see many of his photos from around the Grey Bruce area on his Instagram feed at http://www.instagram.com/willywaterton. Our friends at the Saugeen Shores Camera Club are pleased to present an evening with photographer Don Komarechka. 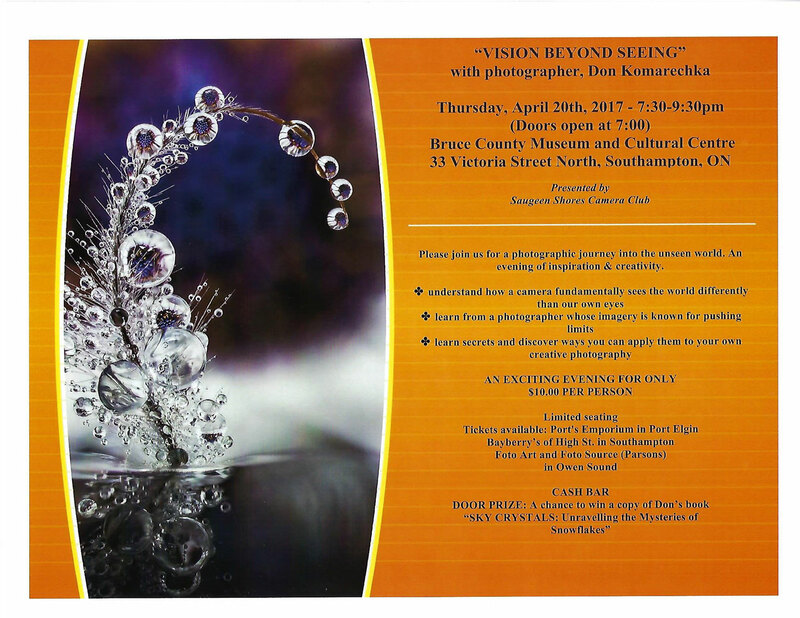 Don’s presentation called “Vision Beyond Seeing” will be held at the Bruce County Museum on Thursday, April 20, 2017 at 7:30. Please Note: Due to inclement weather, Willy’s talk was postponed. Stay tuned for the rescheduling! 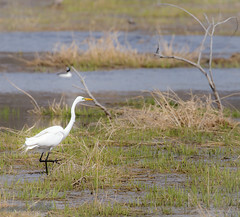 Maureen Elliott has updated her gallery page! Follow her footsteps through her photos and get a little glimpse of some of the tranquil photogenic scenes she captures so well. OSCC member Allison Arnold will have some of her work on display at Chicory Common Natural Foods and Cafe during the month of June. 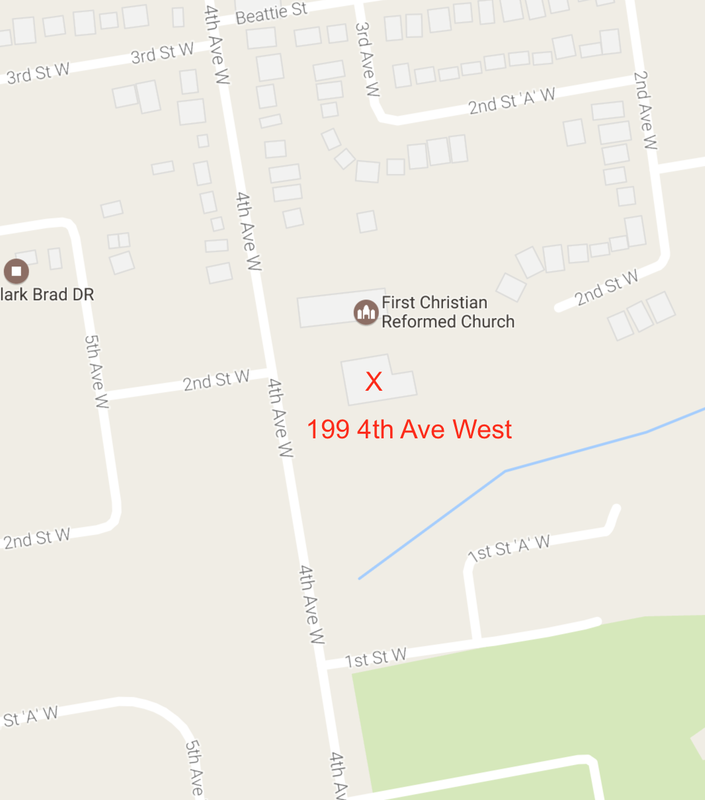 The Chicory Common is nestled in the heart of West Grey at 110 Garafraxa Street North in Durham ON at the junction of County Rd 4. They’re open from Tuesday to Friday from 9am to 6pm (9am to 5pm on Saturdays). For more information about the cafe, you can visit their Facebook Page.